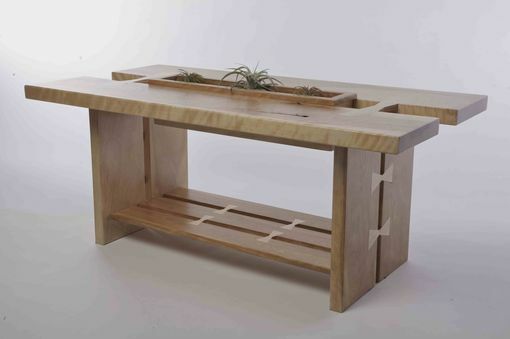 This coffee table integrates air plants into its center. 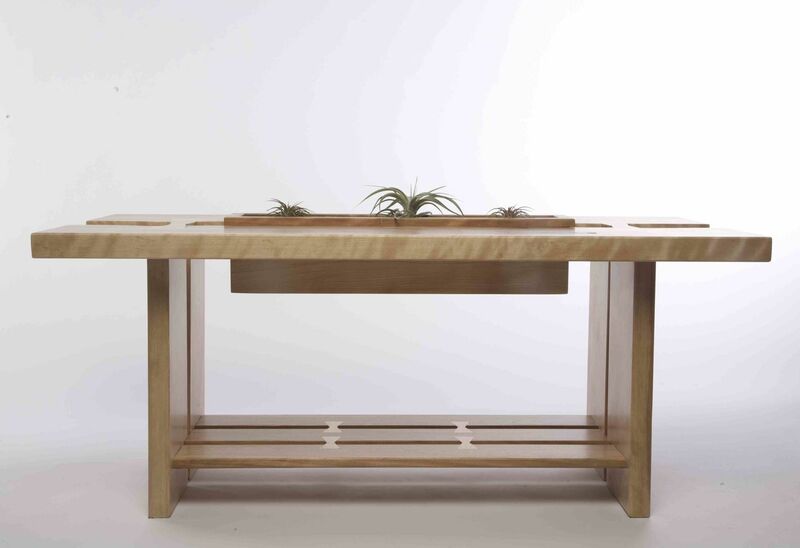 The design accentuates negative space and the natural irregularities of wood. This piece is made from birch.